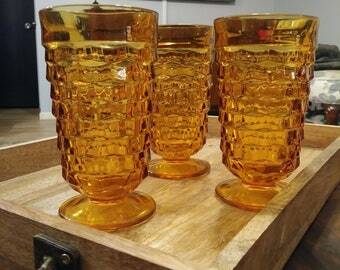 Indiana Glass Set of 4 Whitehall Amber Kings Crown Thumbprint Wine Goblets. 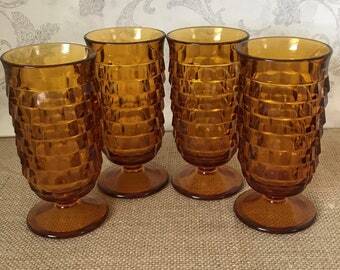 Indiana Glass Set of 5 Whitehall Amber Kings Crown Thumbprint Wine Goblets. 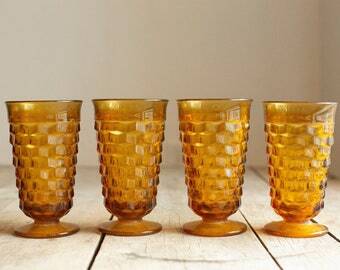 Indiana Glass Set of 5 Whitehall Amber Kings Crown Thumbprint Dessert Cups or Sherbet Dish.